Why were you in Wilmington? Visiting the beach of course. Mrs. Angus and I used to live there in the early aughts, when I was stationed in Jacksonville and when she was starting her career as a high school teacher. I bumped into her one night 1 and our eyes met, lightning struck, and the rest is, of course, history. 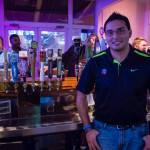 We like to just go back every once in awhile to hang out with some friends, check out how much Front Street has changed, and to visit one of my favorite burger joints on the coast. 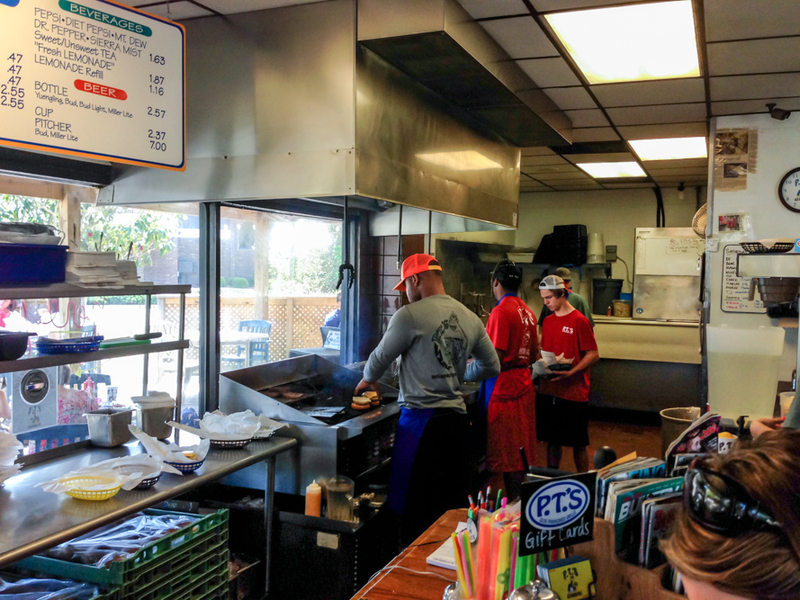 Does this coastal burger joint have a name? 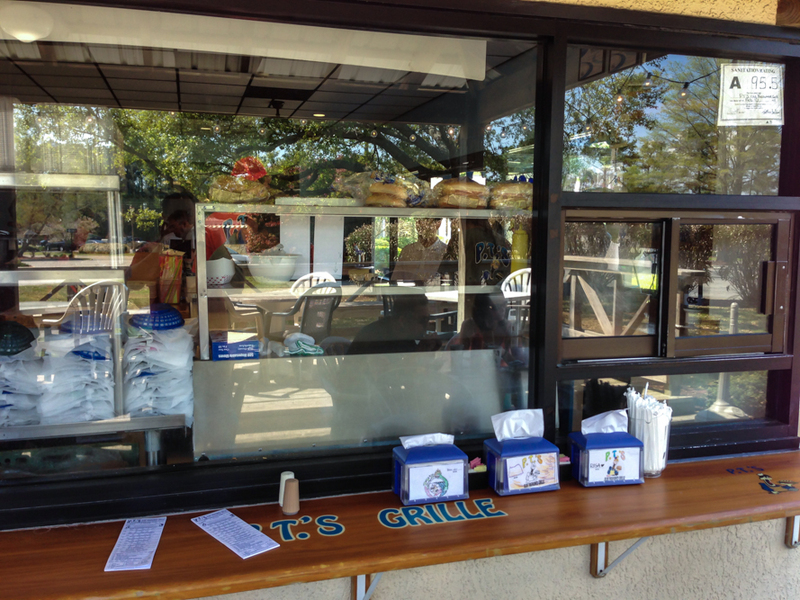 P.T.’s Olde Fashioned Grille! 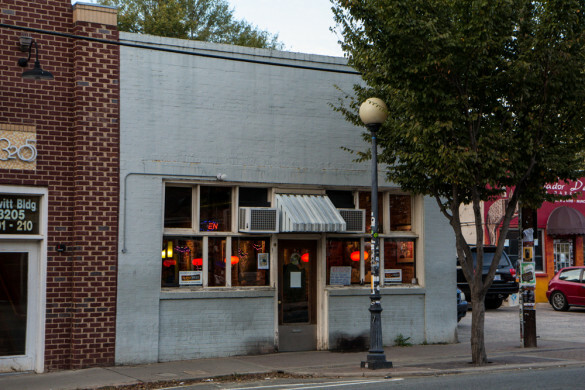 The first P.T.’s I went to (and still is my favorite location) is located right across the street from the UNCW. Its hard to see it from the road. You would have to have someone tell you about it in order for you to know that it was even there. 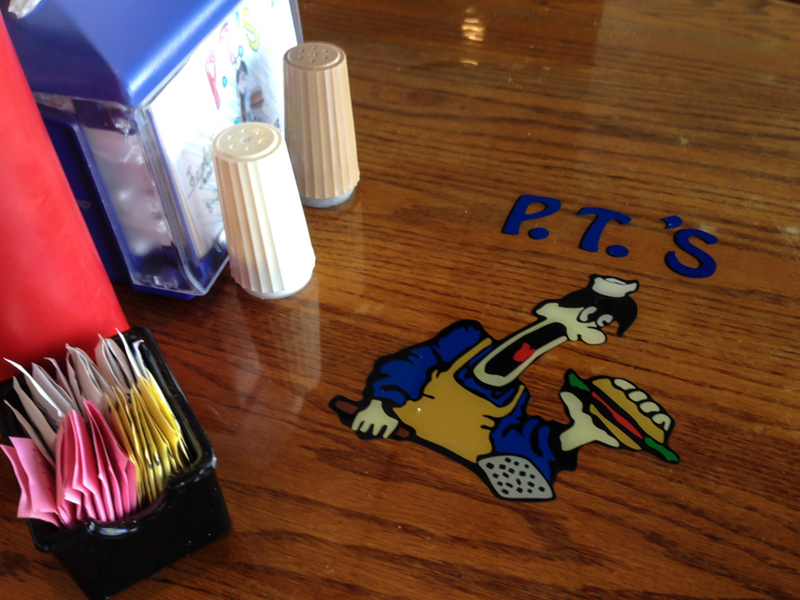 P.T.’s is a super-relaxed place with (of course) the whole beach vibe going on. The have tall wooden tables and do not care if you come in leaving sand everywhere (believe me, it happens…). 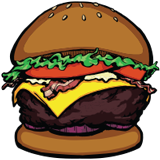 They also have this awesome mascot featured in their logo of a cook chowing down on a burger plastered everywhere. See? That guys is about to DESTROY that burger. Whoa, hold on, I’m not even to that point yet. I haven’t even told you where you order a burger from this place. So there are two different areas that you can order from. 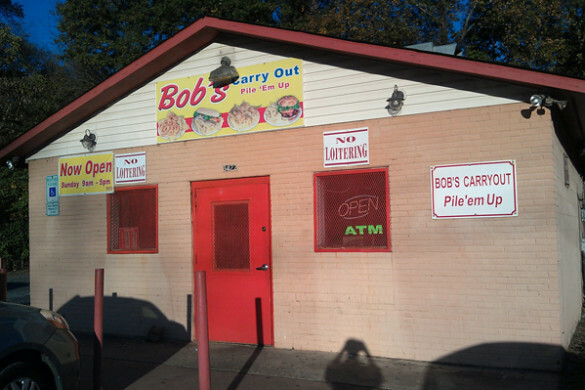 One is that you walk inside, and one is that you can order from a window outside. 2 One is for the untrained college kid, the other is for the seasoned burger veteran. I’ll let you decide which one I went to. So what did you order? We’re not there yet. So I told you where to order, so now I can tell you how you order. Bare with me. It’s good. So there are these awesome and creative little note pads laying around. Upon closer inspection you find that it is the ordering system. You check which item you want, circle which toppings you would like, select which extra toppings you want added, what type of side you would like, and then finish it off with what type of drink your going to wash it all down with. Oh and your fries and drink are included in your burger purchase. WHAT! Look at them. Just sitting there, waiting to be filled out. Whoa, that is kinda cool. Sooooo, what burger did you finally order? I got an Olde Fashioned P.T.’s burger with thousand island, ketchup, lettuce, American cheese, and I added bacon. I also got some excellent lemonade to go with it. 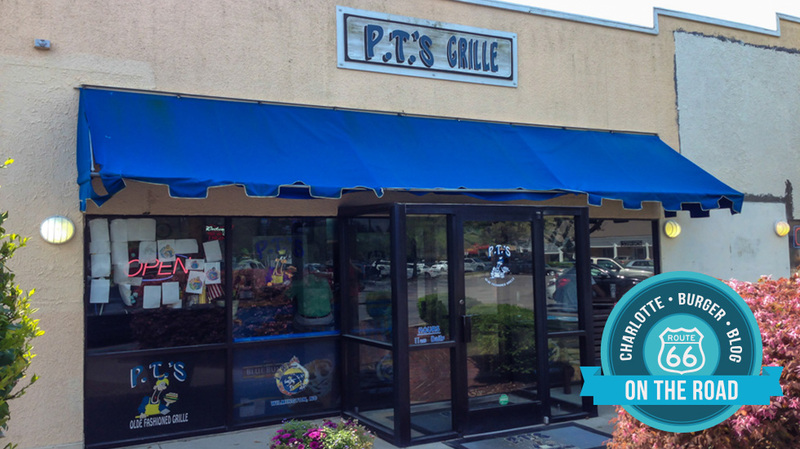 P.T.’s only carries certified Angus burgers, which they never keep frozen. Their french fries are fresh-cut daily and every cup of lemonade is individually fresh-squeezed the moment you order it. 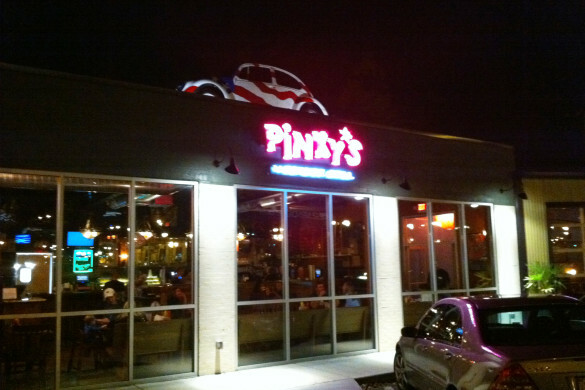 Thinking back, I believe that every time that I have been to a P.T.’s, I have never once eaten inside. 3 So from the window, I did a 180 degree turn and found a table. 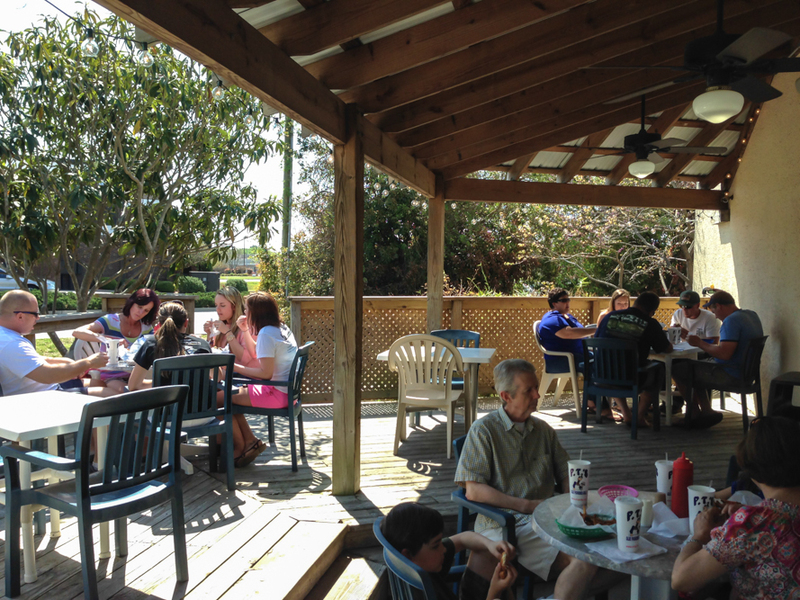 The best thing about sitting outside of P.T.’s, in Wilmington during the spring time is that nice cool ocean breeze that washes over you. There is something about it being a little tad bit warm and then having that cool breeze come though. Also, let me tell you about the smell. Anyone who has ever lived at the beach knows what I’m talking about. There is this little hint of salt in the air when the breeze comes through and when that is mixed the smell of grilling burgers, man, it’s amazing. The only thing missing is my dad’s ’69 Camaro sitting out front with the windows rolled down. How was your custom burger? FREAKING AMAZING. This is another one of those burgers that we like to call “Backyard” or “Lunchtime” (very similar to those burgers you get at Mr. K’s, Zack’s, or South 21). So you wont find a rare burger here. But what it lacks in pinkness is off set by the juiciness of the patty. Since these patties are as fresh as the day they are cooked, it is able to hold all the meaty flavor. It also helps that the toppings are equally as fresh as the patty and are wonderfully prepared. It is just awesome to bite into a burger that has a hot off the grill patty with just taken out of the fridge shredded lettuce. The fries are all fresh cut and a seasoned with salt and pepper 4. They are not overly greasy, which you see in some fresh cut fries, so P.T.’s has making fries (and their burgers) down to a science! We try and hit up Wilmington once a every season (so about 4 times a year). 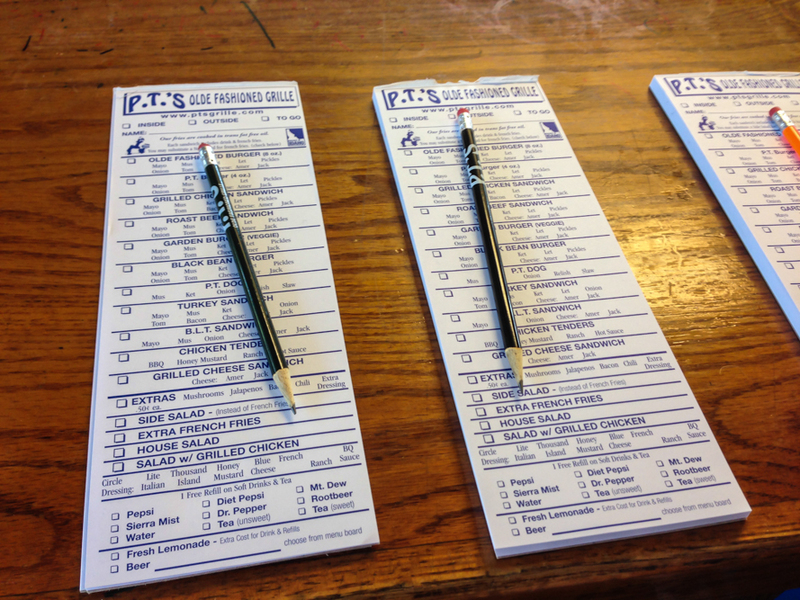 So if you ever find yourself down on the coast this summer, make sure you swing by one of the 5 locations of P.T.’s. 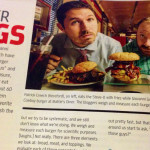 You just might see a certain burger blogger scarfing one down.